I ended up with a beefy red swing-arm for my Mt. Vision Pro after the original silver one went poop. I was lucky too as it came with disc tabs. 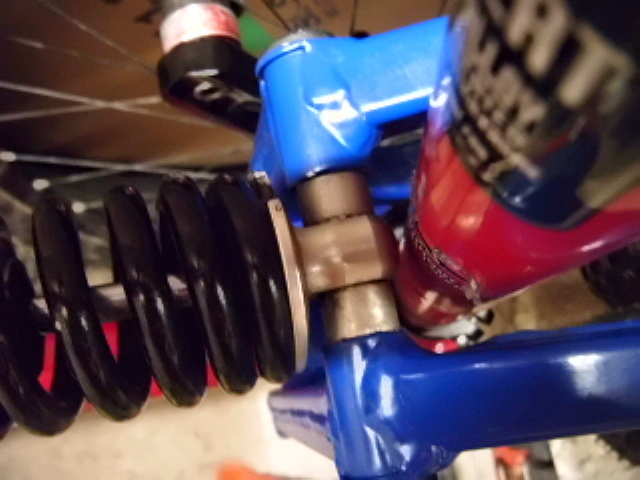 the gap from the shock to the seat tube is 3.2mm whereas my JW2 with an RP23 has a 7mm Gap - I think the difference is because the coil has a larger profile to the RP23? 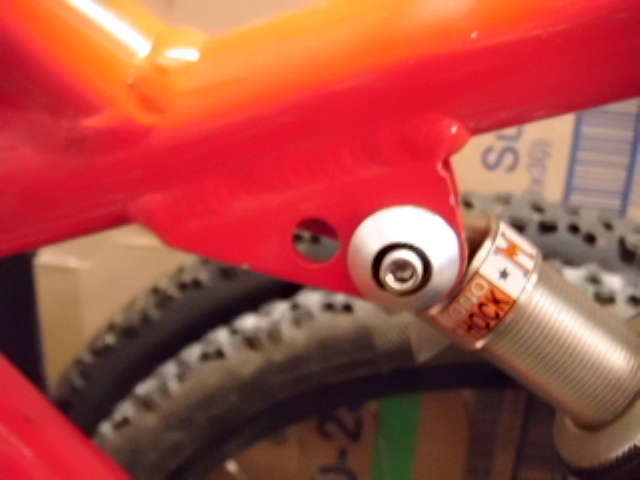 i have the red shorline trail with the steel back end and it has a 200mm shock the same as the B17s. It matches your front end same stickers and that, so maybe the back end has been changed at some point. The bike looks awesome though and it;s making me think about re building mine. where I ride I usually do about 2000 feet up and down on a 3 hour ride - so I already know that the Coil has to go and a RP23 has to go on (probably with a large Volume spacer) so I will take a couple of weeks to finish it off while I find, and wait, for the last few bits to arrive! 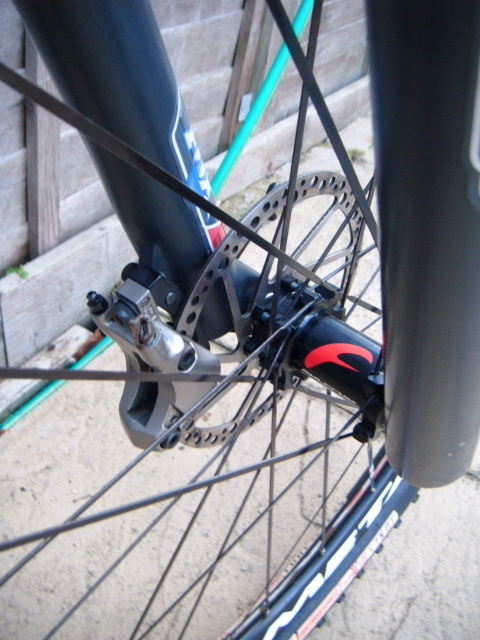 I did have the cro-mo rear end frame but never explored its rigidity when compared to the aluminium version. 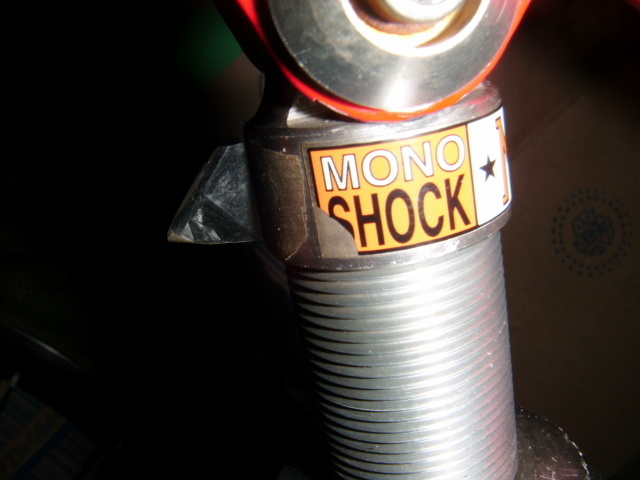 The original swing arms crack very easily as both arms were trying to move twisting the 'torque tube'. This weekend jobs - found a seat that will match the eventually Red/White and Black colour scheme. 5meters of gear outer arrived Saturday so I have fitted the gear inner and outers and done the indexing front and rear. 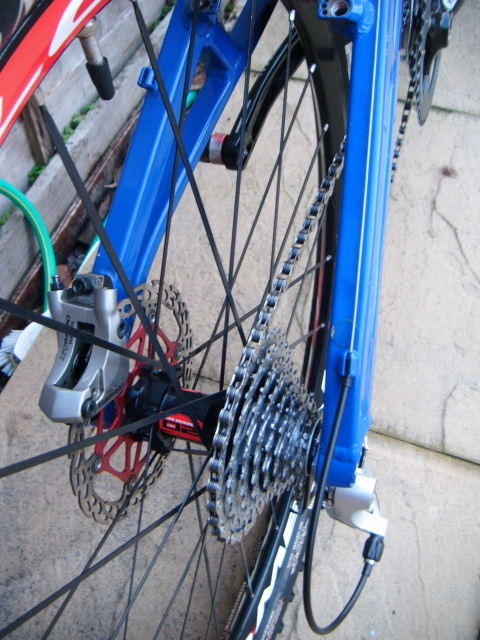 Also Shortend the chain (too much) so had to add some links back in to get it right! Also got the brake adapters on and used some spare caliper to get the adapters shimmed straight (the frame tabs were way out). Today I had a sit on it to check the sag on the coil and WOW it feels Soooooo plush - if only it had a lock out on it for climbs! also I think its top out bump stop has gone as it tops out very harsh? I would have done this all yesterday after noon but a planned 2 hour ride on my EMTB turned into a 4 hour nightmare (including pub stop) when I got the Bosch Error 503 - 10 miles away from home. Turns out my speed sensor spoke magnet has weakend so no speed is detected and all power is lost apart from what feels like 10% (bascially enough to negate the bosch motor drag). So I had to pedal a 50lb monster 10 miles home from Avebury. - all for the sake of carrying a spare £8 Magnet!!!!! 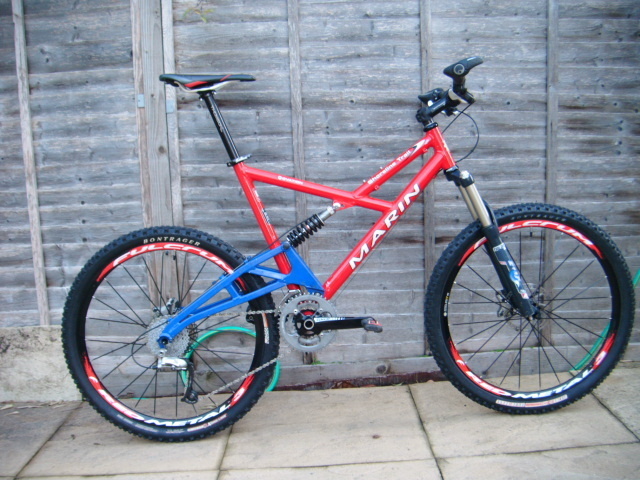 I would have given my eye teeth to have been on the marin - it was proper murder!!! !